“The better question [isn’t self-interest, but] whether Asian Americans are willing to recognize our ethnic and class diversity." “The better question [isn’t self-interest, but] whether Asian Americans are willing to recognize our ethnic and class diversity,” Lee said. “Not all Asian ethnic groups are highly educated and high-achieving; in fact, most aren't. For those who face ethnic and class disadvantages, including Cambodian-, Laotian-, and Hmong-Americans, affirmative action policies will help. It will also help high-achieving groups like Chinese-, Indian-, and Korean-Americans to experience racial and ethnic diversity and better prepare them to work in diverse workplaces." Lee and Zhou's book was cited in an October op-ed by New York Times columnist Nicholas Kristof that some Asian Americans criticized for promoting a new version of the “model minority” idea. Lee, who doesn’t buy into that stereotype, wrote a rebuttal for CNN in response to Kristof's column. 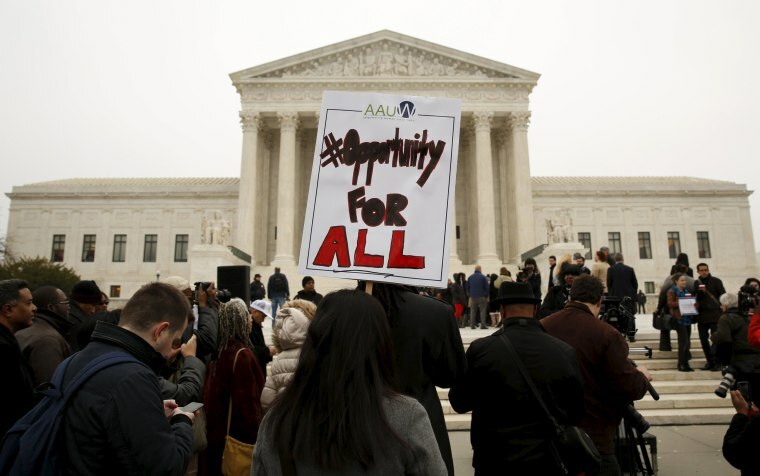 Whether affirmative action survives another test at the Supreme Court, schools are recognizing on their own the importance of more traditional capital in diversity efforts. In November, Yale and Brown both made commitments to diversity on their campuses. Yale said it will devote $50 million to retaining and recruiting a diverse faculty, and Brown said it would spend $100 million. Correction: An earlier version of this article suggested that 69 percent of all Asian Americans supported affirmative action. The National Asian American Survey data cited by Jennifer Lee refers specifically to registered California voters.